The Peak District is a gorgeous national park a few hours north of London, picturesquely desolate in parts, filled with an assortment of stark rock formations, verdant scenery, intriguing caverns, quaint historic villages, and a very different kind of life to that of the crushes of humanity in the UK's larger cities. I recently had an opportunity to visit, and similarly to when I've travelled elsewhere, from Buenos Aires to Bangkok, Istanbul to Iceland, I hunted down some locally set crime fiction. Recently, Sarah Ward has deservedly been getting attention for her debut IN BITTER CHILL, a classic intriguing mystery set in the Peak District. 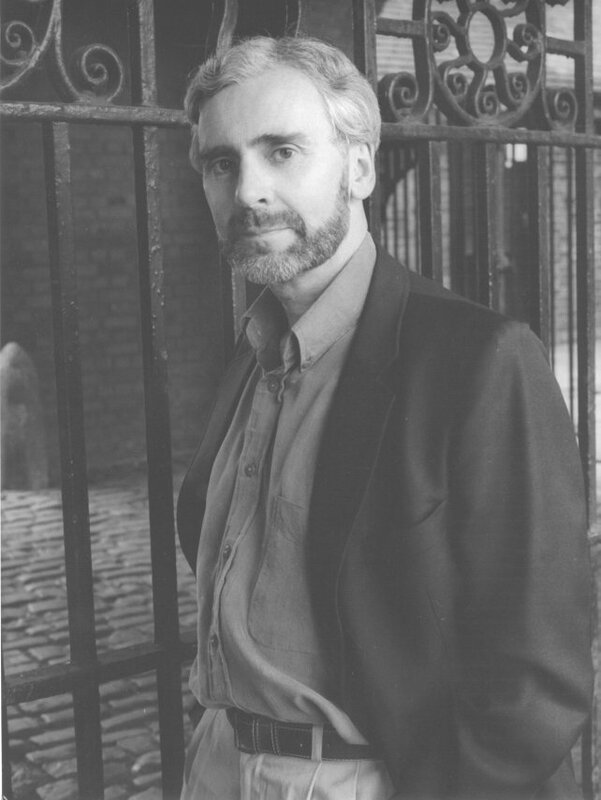 But there is another local author who has been setting some outstanding crime novels in what is a lovely region for more than a decade: Stephen Booth. A former journalist (he started as a rugby reporter), Booth debuted his acclaimed series starring young Derbyshire detectives Ben Cooper and Diane Fry back in 2000, with BLACK DOG. In that book Cooper, a local, teams up with Fry, and outsider recently moved into the area, to solve the death of a young woman whose body is discovered by a recalcitrant miner. The book was widely praised, won the Barry Award for Best British Crime, and the famous Reginald Hill hailed it as the birth of a crime writing star. 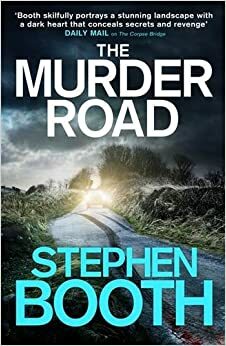 This year, Booth released the fifteenth title in the Cooper and Fry series, MURDER ROAD. Over the years the series has earned Booth the CWA Dagger in the Library, as well as further wins or short-listings for the Barry, Anthony, Gold Dagger, and Theakston Old Peculier Crime Writing Awards. But for now, Stephen Booth becomes the latest author to stare down the barrel of 9mm. 1. Who is your favourite recurring crime fiction hero/detective, and what is it you love about them? I suppose everyone mentions Sherlock Holmes? He was my introduction to crime fiction as a reader. Holmes is such an enduring character that he’s gained a kind of immortality and is open to continual reinterpretation. As an author, there’s nothing better to hope for than having your characters live on for many years after you’re gone. More recently, my favourites have included John Harvey’s Charlie Resnick, Peter Robinson’s Inspector Banks, Aline Templeton’s Marjory Fleming, and Michael Connelly’s Harry Bosch. I like any strong, believable central character with the potential to drive a series. Strangely, the first novel I can remember reading was George Eliot’s ‘Silas Marner’. That was mostly because it was the only novel we had in the house when I was a child. But it made a big impression on me, and encouraged me to seek out more and more books from my local public library. I became a big science fiction fan at an early age, and adored the books of a rather forgotten British SF writer called Eric Frank Russell, particularly ‘Wasp’ and ‘Next of Kin’. Unlike most of the science fiction being written then, they were wry and funny. They’re probably rather dated now, though. Far too much! I began writing at a very young age – pretty much as soon as I could read, I think. I started with short stories, then wrote my first novel when I was about 13 years old. It felt so satisfying that I knew it was what I wanted to do when I grew up. But I knew I couldn’t just leave school and become a novelist, so I went into newspaper journalism because it was a way of earning a living by writing. I was happy doing that until the newspaper business changed, and I wanted to get out. Even so, I produced six unpublished manuscripts before I wrote the first Cooper & Fry novel ‘Black Dog’ - and that changed everything. So I’ve actually earned my living by writing and editing for over 40 years, and I’ve never done anything else. I think I’m very lucky to be able to say that, especially as I’m now living my childhood dream of being a full-time novelist. My main leisure activity has always been walking in the countryside. It’s great to get outdoors when you work on a screen all day, and I’m lucky to live near some beautiful and inspiring landscapes. In fact, this is how I first fell in love with the area I write about, the Peak District, which has become such a feature in the Cooper & Fry series. Many readers will also know that I used to breed dairy goats as a hobby (it still appears in my bio on some book covers as one of those quirky author details). I always found them fascinating and productive animals, with great personalities. At one time, I was at shows every weekend during the summer, and became a judge myself. When I was a journalist, it was so relaxing to come home after a stressful day in the office and milk the goats. I think everyone should have a hobby that is as far away as possible from the day job. It helps to keep you grounded. I live in a small rural village, which you could walk through in a few minutes. But the area I write about, the Peak District, has lots of hidden places off the beaten track. Not far from my fictional town of Edendale, there’s a place called Castleton, which sits on top of a huge cave system. For something unique, I’d recommend an underground boat ride through the tunnels to reach the Bottomless Pit. You do need to descend 105 very steep stone steps down to the caves, though. And preferably you shouldn’t suffer from claustrophobia. Heart throb Aidan Turner (of ‘Poldark’ fame) could definitely play the younger me. But the older me is a role for an ancient character actor like Bernard Cribbins (or so my wife says). Of course I have a big soft spot for the first Cooper & Fry novel Black Dog, because it literally changed my life. But as writers we like to think we improve over time. I tend to put a book out of my mind as soon as I start writing the next one, so it’s always the latest book I feel closest to. Right now, that’s The Murder Road, which I really liked the ideas and characters for when I was writing it. It’s also moving the series in a new direction, which is a great feeling. It took me a long time to accept that it was actually happening. It all felt so unreal. My agent ran an auction in the UK for that first book, and she had three publishers bidding against each other. I was still working at my day job on a local newspaper while it all happened down in London, so it seemed to have nothing to do with me. My boss at the time was the kind of guy who was always talking about the novel he was writing – though we all knew he would never finish it. But I said nothing until the day I could walk into work and say “Oh by the way, I’ve just signed a two-book deal with HarperCollins.” That was a good feeling! But I’m not sure I really believed it until I got the finished book in my hands 12 months later. Holding that physical book with my name on the cover was an enormous thrill, and I’ve never got over that feeling. It’s still the most exciting thing in the world, even after 14 more books. There have been many! I once agreed to auction myself for charity at the Bouchercon mystery convention in the USA and ended up taking two ladies out for lunch who’d bid the highest amount for me. They seemed to enjoy themselves, because they said I was worth every cent! Have you read Booth's Cooper and Fry series? What do you think of the Peak District as a crime setting? Share your thoughts in the comment section.